KANSAS CITY, Mo. 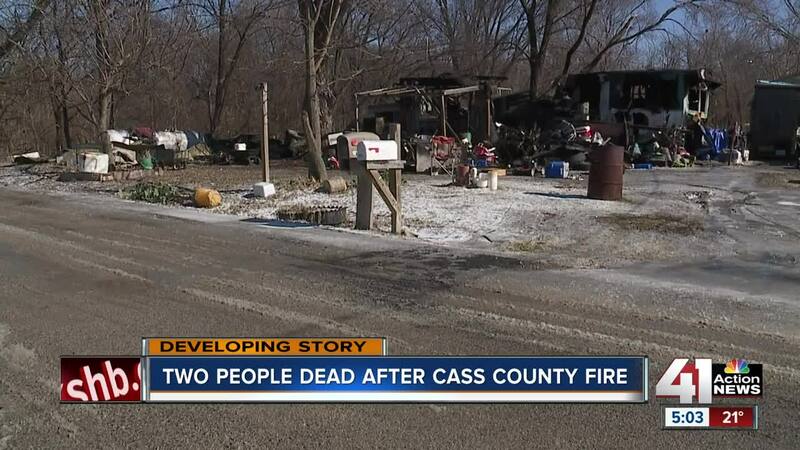 — Two people died in a house fire Friday morning in rural Cass County, Missouri, officials said. Just after 4 a.m., firefighters were called to a residential fire in the 18000 block of S. Shimel Road in Strasburg. A single-wide trailer was fully engulfed in flames, the Cass County Sheriff's Office said. Three people were inside the home at the time of the fire. One person made it out of the home and was treated for injuries. The other two people were found dead inside the house. The Sheriff's Office identified the victims as James Garrett, 78, and his son, Dennis Garrett, 50, of Strasburg. The Cass County Sheriff’s Office, the Pleasant Hill Fire Department and the Missouri State Fire Marshal’s Office are all investigating the cause of the blaze.